Mini 125 / 135 is known as the best residential water pressure booster system. Offered with 12 months warranty, these are designed specially for all residential boosting applications. The framework of this water pressure system incorporates a solitary speed, completely encased fan-cooled engine driven promoter pump with single stage control, and additionally a weight tank, weight measure, and check valve. The pressure of water is continually monitored via a "pressure transducer", which also cautions the pump control framework to begin as water in the framework is utilized and shields it from running dry. 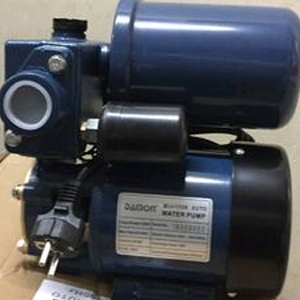 Mini 125 / 135 water pressure system is integrated with branded electronic parts which are totally isolated from funneling and conduits for extra safety and simplicity of field repairing.